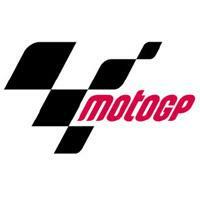 MotoGP is the premier class of the Road Racing World Championship Grand Prix which originated in 2002 to replace the old GP500 class. The high-tech motorcycles used for this competition cannot be used on public roads. This has been the world's premier road racing championship since its creation in 1949 and it is currently organized by Dorna, a Spanish company, and by the International Motorcycle Federation. The championship is comprised of 18 grand prix which take place in 16 different countries of all 5 continents. This is the classification of the riders of all of the editions of this premier class.